Bob is in his 80's, and became a patient of ours after he'd had a fall, smashing his nose on to some pavement. He was a pharmacist in Kings Cross for many years and is well known around-and-about. His wife died a couple of years ago. 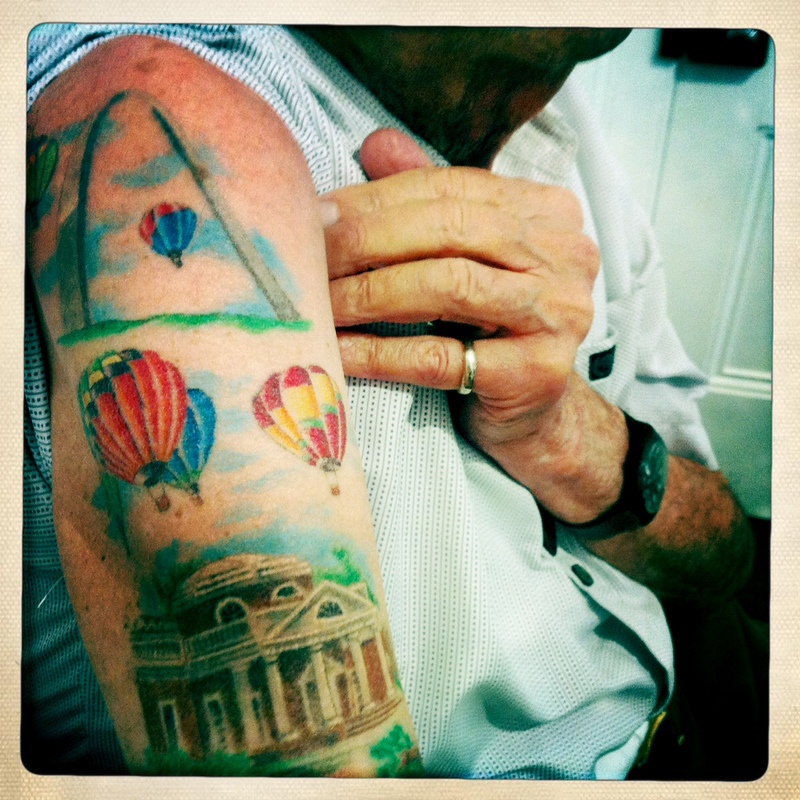 They'd been married for more than 40 years and he was planning to get a tattoo in her memory. She would have been horrified, he told us (a good Catholic Italian girl). His adult daughters were horrified. 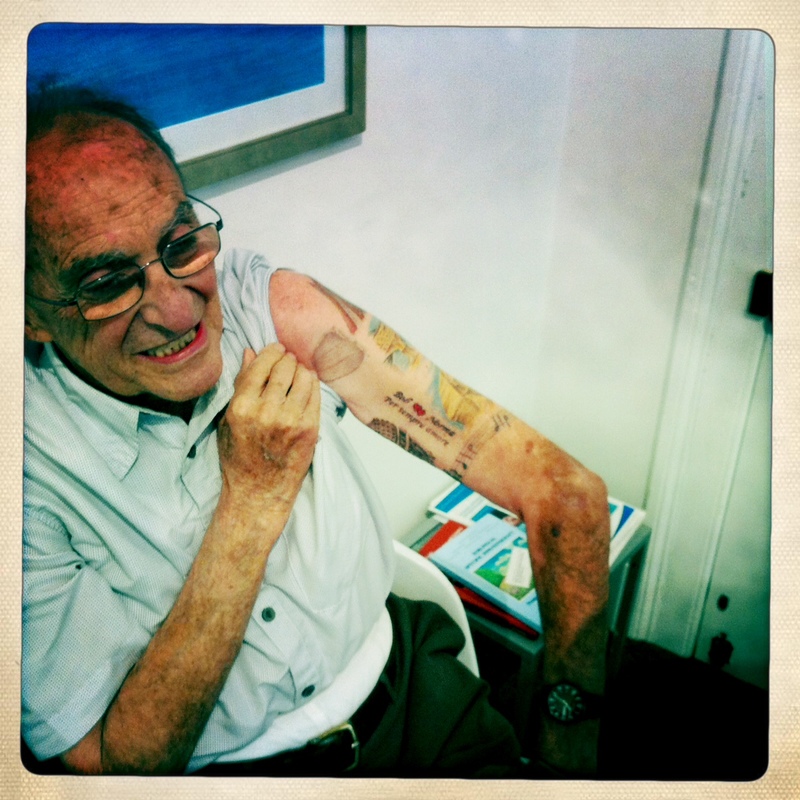 Long after his nose had healed, Bob dropped in to say hello and, if it was ok, show Susan his tattoo. He got the impression, he told her, that she was the type to have a few herself, and he was in search of like-minded people (his daughters not falling into that category). Off came his layers of clothing until there, on his heart, was the portrait of his wife. 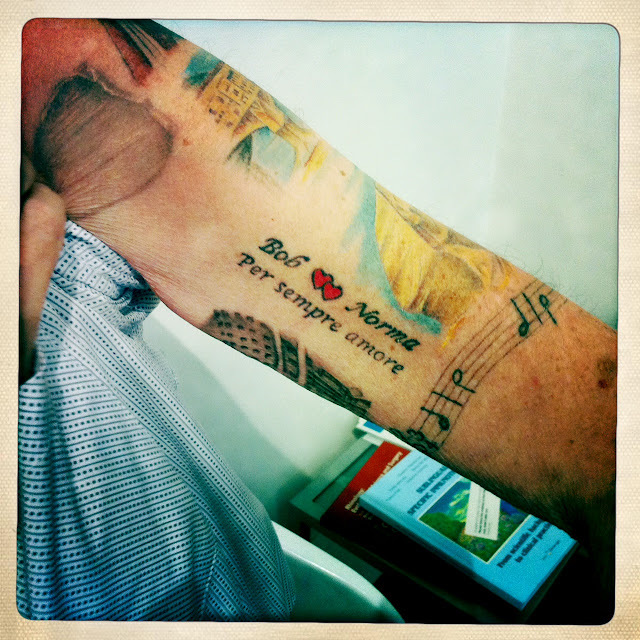 Last week, Bob came to say hello, and he confessed to Susan that, as it turns out, getting tattoos has become somewhat..addictive. Much to the horror of his aforementioned daughters. Bob has become an album of the trips that he and Norma took together, and of the life they shared. His daughters don't understand it at all. 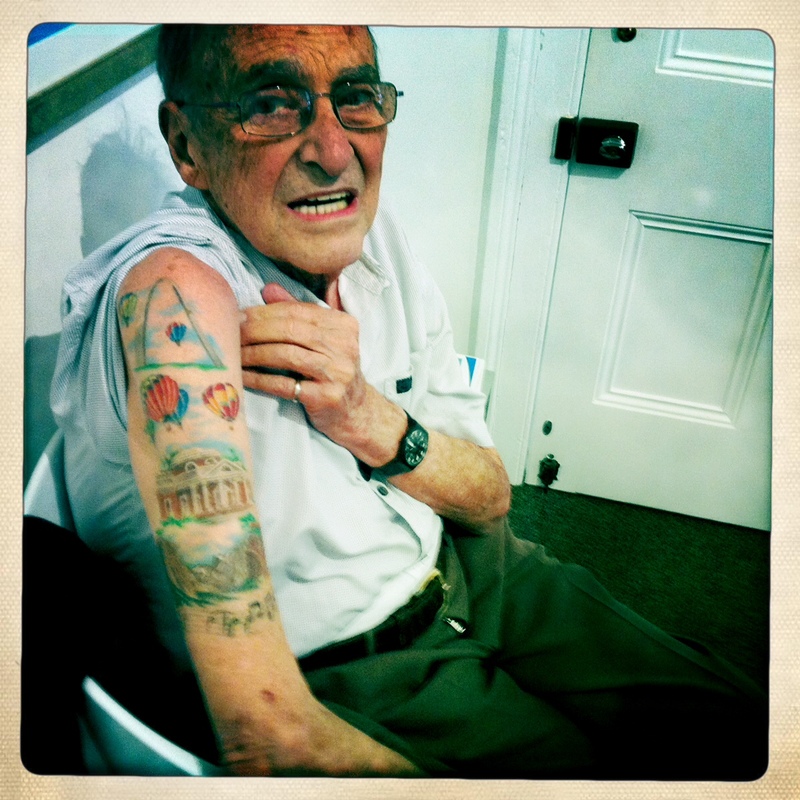 I think his daughters need to take a pill; if you can't get tattoos all over yourself when you're 80, then you may as well pack up and be done with it. Forty years, he said, and he didn't realise how much he loved her until she was gone. But I'm sure she knew. Oh my goodness, this is the most adorable thing ever. What a lovely man.